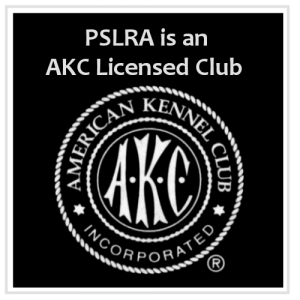 Please Note: PSLRA is a "Not For Profit" Club, IRS 501C7. Donations made specifically to PSLRA are not tax deductible. To donate to a tax deductible "Non Profit" organization please donate directly to Seattle Purebred Dog Rescue www.spdrdogs.org, and specify you would like the donation to go to "Labradors Retrievers". Would you like to donate to support our Junior Club Members? PSLRA has a number of Junior Members who are under 18 years of age and active in Conformation and Hunting events. In 2010 the Club started a Juniors Fund to help support our Junior Handlers with education expenses through our Junior Scholarship, as well as expenses associated with handling classes, travel to major events, etc. 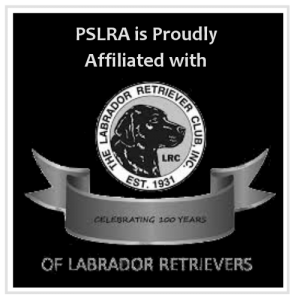 Puget Sound Labrador Retriever Association Membership entitles you to receive the Club’s monthly newsletter, access to the Member’s Only sections of the Club’s website and PSLRA Chat Forum, the opportunity to earn a PSLRA’s All Around and Versatility Dog Awards, and attend the Fun/Training days. More importantly, being a PSLRA member is like welcoming a whole new branch to your family! A group of people who share your interests and who are there to enjoy your successes, support you in your trials, answer questions, mentor and help you understand your Labrador Retriever. These instructions are for former PSLRA Members who currently have a gap in their membership, and would like to re-join the Club. If you are a former PSLRA Member interested in re-joining the Club, and at the time of your departure from the Club you were a Member in good standing, contact the Membership Renewal Chair membership@pslra.org. The Membership Renewal Chair will verify your past membership and assist you with re-joining the Club. Please review the Club Policies regarding Membership below prior to contacting the Membership Chair. The following is the sub-section of the Club’s By-Laws summarizing Membership Renewal & Dues requirements, including the timing of renewal payments. By-Laws SECTION 2. Dues. Membership dues shall be $20.00 per year for an Individual Member, and $25.00 for a Family with two voting Members per year, payable on or before the first of February of each year. No Member may vote whose dues are not paid for the current year. Any new Member joining the Club during the fourth quarter of any calendar year shall be considered to have paid dues through the end of the succeeding calendar year. During the month of December, a statement of dues for the ensuing year shall be sent to each member through the newsletter. SECTION 4. Termination of Membership. b: By lapsing. A membership will be considered as lapsed and automatically terminated if such member’s dues remain unpaid 60 days after the first day of the fiscal year; however, the Board may grant an additional 60 days of grace to such delinquent members in meritorious cases. In no case may a person be entitled to vote at any club meeting whose dues are unpaid as of the date of that meeting. In order to retain credit for past years of membership, and as outline in the Club’s Policies & Standards in Section 23. below, to become a Lifetime Member at 25 years, Members cannot have a gap in membership. Complete and submit the following application form. The captcha prior to submission requires adding two numbers together or “+”, or multiplying two numbers or “*”, (not x). Application will be sent to your two Club Member Sponsors, as well as the Club’s Membership Chair. Please Note: To expedite the application process, notify your sponsors that you have submitted your Membership Application. This will ensure they check their spam or junk mail folders and receive a copy of your application and can promptly respond to the Membership Chair confirming their sponsorship. Your application will be reviewed by your two Club Member Sponsors and the Club’s Membership Chair. If approved, you will be contacted by the Club’s Membership Chair with instructions for how to pay your annual membership dues. Application Requires Sponsorship from Two PSLRA Members. Sponsor's Email Address Used to Verify Your Application.